Why Mii’s Don’t Belong In Super Smash Bros.
Mii’s are among the most heavily requested “characters” for the SSB4 roster by Nintendo fans – to my dismay. And I somewhat understand it. Who wouldn’t want to use their representative avatar in a brawler that consists of some of the biggest gaming icons in history? 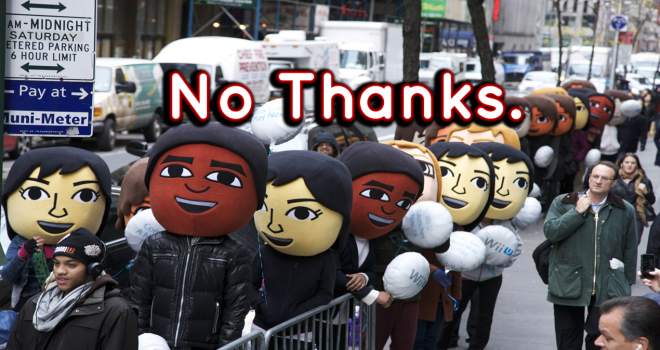 But there are legitimate reasons – opinionated and factual – as to why Mii’s simply do not belong in the game. I am here to tell you, Nintendo (or more specifically Sakurai), to ignore these people. They don’t belong. Keep your goddamn Mii’s away from my Super Smash Brothers. There are many reasons and arguments to be made, but in this piece, I would like to focus on three main points supporting my objective stance. 1. Smash is a crossover game, for actual videogame characters. Keep the peasants away from the kings. I don’t know if you’ve noticed, but Smash Bros. is a celebration of tried-and-true Nintendo franchises (excluding the 3rd-party guests of course), with fan-favorite characters that represent them. Now I know what some of you are going to say, “But Mii’s are characters! And they’re part of the “Wii” franchise!” But that’s where you’re wrong, they’re not actual characters so-to-speak. They’re avatars. There’s a difference. A character is someone with a personality, a story, someone with attributes, and traits. The word “character” is a combination of qualities or features that distinguishes one person, group, or thing from another. This obviously doesn’t describe Mii’s at all. Avatars are simple representations of you, the gamer. And you the gamer are not a video game character. Your silly-looking Mii is simply not worthy to be battling it out with the likes of Mario, and Link, and Megaman, and possibly Sonic, nor is it even the same type of entity as said-characters. Your particular Mii may have certain traits, and you may imagine him or her to have a certain personality that reflects your own, but there is no one universal representation of all Mii’s. Now sure, Wii Fit Trainer undoubtedly busted the floodgate wide-open regarding what kind of characters we could be seeing in Smash Bros., but at least she actually fits the criteria of what a character actually is. Wii Fit Trainer was at least a named individual who had particular traits and served a role within her game. This much can’t be said for Mii’s, as they serve no in-game role outside of the purpose of being digital representations of the gamer, but that’s it. Surely anyone can see the differences between Mii’s and actual video game characters such as Mario, Fox, Pit, Samus, and DK. When I play a game that is supposed to be a crossover of my most beloved video game characters, I don’t want to see your silly custom Mii jumping around in the mix, which leads to my next point. 2. Everyone would use them. Prepare for Mii’s-only online. Trust me when I say this, everyone and their mothers would be picking their Mii characters. As I stated in the opening paragraph of this article, what gamer wouldn’t want to see a character that looks like themselves beat the crap out of various gaming legends? Not to mention the highly-customized Mii’s that are made to resemble other video game characters, famous real-world people, and even anime characters. A Kratos Mii fighting Kirby? Billy Mayes (God rest his soul) fighting Ganondorf? Naruto fighting Olimar? You bet your left nut people would abuse the living hell out of a Mii feature in Smash Bros. 4. This would render the online unplayable (or more accurately, unbearable) for some which would be a crying shame considering the fact that SSB4 will most likely have decent online this time around considering the fact Sakurai received so much backlash from Brawl, not to mention that now they have the Nintendo Network (no way they won’t get it right this time……right?). I know that I will personally be avoiding all random matches online and will stick exclusively to friend matches if Mii’s are integrated into the game. As I said at the end of my last paragraph, I don’t want to see your personal avatar in my game. You may want to see it, but the rest of the world does not. Why would anyone else care to see your Mii? They wouldn’t. Nobody cares about you or your stupid little Mii. You buy and play a crossover game because of the collaborated characters featured in the game – it’s not the place for personal creations. 3. Roster size is limited. You would choose a Mii over Little Mac? 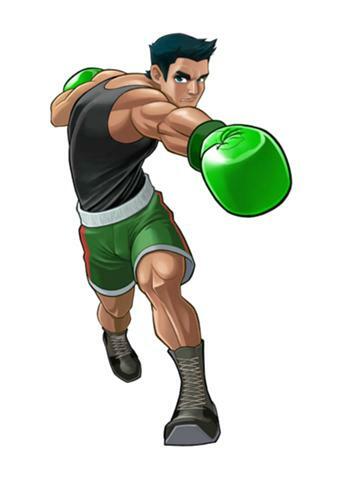 Lord almighty, PLEASE let Lil Mac be in this game! 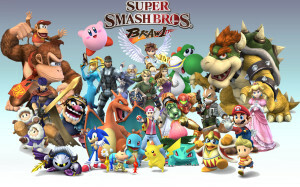 Sakurai has already confirmed via an interview that he and the team do not have enough time to include all of the previous Smash Bros. characters. Always keep in mind, people, that fighters cannot have a limitless roster size, and developers only have a set amount of development time and resources. So with Sakurai stating that everybody from the previous games will not make it into SSB4, you would really want one of the character slots to be Mii’s? Think about that. You would rather have Mii’s over Chrom from Fire Emblem Awakening? Shulk from Xenoblade? Krystal from Starfox? Little Mac? Or third party characters such as Bayonetta, Wonder Red (W101), and Lloyd Irving from Tales of Symphonia? Think about it people, if Mii’s do end up being playable in the game, imagine who they prevented from being included into the roster. There’s no telling what kinds of epic awesomeness (yes, epic awesomeness) that was being considered for the game but was scrapped so that they could add those meager, insignificant Mii’s. Now if your answer to this point is yes, you would want a Mii over any of these other characters, then shoot, I don’t know what to tell you. But I’m sure literally nobody here in their right mind is stating such delusional heresy. There will always be hundreds of more-worthy characters that can be put into the game instead of Mii’s, point, blank, period. As I stated before, there are a lot more reasons as to why I want Mii’s to stay as far away as possible from Smash Bros., but those other reasons (being: I think they look annoying, and they make extremely annoying sounds – imagine all the noise they’d make in a single match!) are more along the lines of opinions and what does and doesn’t annoy certain individuals. I feel that the three points I talked about here are rock-solid and 100% legitimate though, so these will more than just do. Now hopefully people can start thinking more logically about who they want in Super Smash Bros. Wii U and 3DS. There’s other characters as well that I see being requested that just wouldn’t make any sense (I’m looking at you, Ridley – he’s too big! And anime characters?…..get out of here with that!) but that would cause for one painfully long article so I’ll have to leave it at just the Mii’s. Let me know what you guys think down below. For any of you who disagree, I would love to see your arguments as to why Mii’s would be acceptable for Smash Bros.
All the games where you play as Miis, they are doing human activities like playing Sports. So really, they are just Avatars of you playing sports. This needed to be said great job. 1. The Miis ARE video game characters, not just avatars. Wii Sports was the beginning, but they’ve starred in a lot of games. Hell, even the new StreetPass games like Mii Force actually made a proper story for the Mii characters to envelope themselves in – this is a flawed argument. 2. Again, flawed because you’re making assumptions. What if the Miis don’t have a solid moveset? Wouldn’t people rather be established characters, with their established movesets? I see where you’re going with that, but it makes no sense. You don’t see me complaining when there’s a bunch of people using Jigglypuff. 3. This. I’ve encountered this argument a lot of times. The “waste” of a character slot. Really now? Compared to Brawl, which had more clone characters, you’re going to say that somehow the Mii is a waste of a character slot? Look, man, I would want Little Mac to finally make it as a Smash character and I may know how you feel, but I’m unsure at what could be considered as a “waste”. To me, I feel that clone characters are more of a waste than original characters like Mr. Game and Watch or R.O.B. It could be worse – they could’ve put the Wii Fit Trainer in the game or something to that effect. Now that would be a complete waste of a slot…. Oh, wait… she’s in the game? She’s a formidable character? Brilliant! Jokes aside, I would actually rather the Miis to be assist trophies rather than full characters. If Sakurai makes the call for them to be playable, then more power to him. I only wish your arguments were more stronger than “they’re just avatars, everyone would use them and the game would just become Super Smash Miis”. 2.”Not to mention highly-customized Mii’s that are made to resemble other video game characters, famous real-world people, and even anime characters. A Kratos Mii fighting Kirby? Billy Mayes (God rest his soul) fighting Ganondorf? Naruto fighting Olimar? You bet your left nut people would abuse the living hell out of a Mii feature in Smash Bros. 4. Why I don’t want miis in the game, I wouldn’t mad if they were. The way I see it is that we shouldn’t be mad or complain about someone getting or not getting in, we should rather look at the bright side of it and see what the character can bring to the table, because when a character gets in it most likely it would stay seeing how sakurai doesn’t change his mind easily no matter how much we complain. I disagree with this article. I think Mii Character in Smash Brother would work because Mii’s are specifically Nintendo characters and have a large presence in videos games. I think Mii’s should have customizable move sets where they look like the character they are fighting like. It would almost be like Tekken Tag 2 in a sense. I think this would give a deeper ownership to the gamer while still promoting Nintendo Characters. In order to keep balance in Smash, they can’t have customizable movesets. The Mii, as Jamai stated himself, is not a character. It is an Avatar, not suitable for fighting. 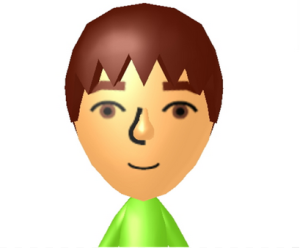 A Mii (ミー Mī?) is a digital avatar used in Nintendo’s Wii, Wii U and Nintendo 3DS gaming consoles. They allow users to capture a likeness (or a caricature) of themselves, others, or invented characters. After creating one using the Wii’s Mii Channel or the Nintendo 3DS’s/Wii U’s Mii Maker, lmao stop asking for avatars dumbasses. I was with you until you said Lloyd Irving. Of all third parties you want a boring RPG character? I would say point 3 is the most solid point. I would say R.O.B. isn’t necessarily a character, but you’ve made it clear that you don’t think R.O.B. belongs in smash bros either. The rendition of villager chosen for smash bros was arbitrarily chosen because of his appearance in smash bros and on the cover of city folk, but it isn’t like you’ll be able to customize his appearance outside of color. I personally don’t want miis in smash bros, I think someone else could more deservedly obtain the roster spot. For point 1, I would say that while smash is generally for video game characters, you do get R.O.B., so I wouldn’t say smash is exclusively for video game characters, but rather entities associated with video games. However, we already have wii fit trainer, and to an extent, villager, neither of which are heavily established characters in their own respects. So I don’t think there’s room for Miis. For point 2, I think that Miis would indeed be prevalent because of the ability to customize their appearance to your liking. It would be mainly with newer players (if Miis would turn out to be bad characters competitively), but newer players would be the majority of players online. Perhaps they could have a ranking system like Tatsunoko Vs Capcom in Smash Bros to prevent over saturation? If not, Miis would present a problem. That’s all I’ve to say about this situation. wow thats a lot of reasons shokio. Indeed. The roster is way too limited and when you some great characters like Ray MK III from Custom Robo, Shulk from Xenoblade or Little Mac, it would be extremely disappointing to sacrifice one place for a character you create when you can play as some of the most famous and legendary actual video game characters. PS: SHULK FOR SMASH BROS! I think #3 is more than enough reason to keep Miis out. So by your reason of it being an avatar, it can’t go in. So tell me the difference between the Animal Crossing Villager and Miis? Your reason on Miis always being online, is also flawed. For example, the Mario Kart 7 servers aren’t flooded with Miis. And even if its like that, it doesn’t stop Ryu and Akuma players from picking them in Street Fighter. However, I wouldn’t say its unplayable. Finally, the roster shortage won’t mean a thing. And I would have Miis over little Mac, and Sora is likely to think that their audience would want Mii over Little Mac, considering they are aiming for the audience that plays Wii Fit. That’s because the Miis in Mario Kart weren’t really anything to speak of… they kind of blow. In Smash, this time around it’s going to be a very balanced game, as stated by Sakurai. The Villager is universally known as the Villager. He always has the same default appearance. The Mii is something you actual completely customize yourself. The Villager is somebody who you give a name and direct around, eventually reshaping his appearance by use of clothing, hairstyles, and makeover. Mii should deserves a chance to be in the game. I don’t care what movesets they’ll have, Nintendo is smart enough to figure out a suitable movesets for the miis. Everyone’s gonna play as the the character with the cheapest move set anyway, so why not make that one the Mii? Wonder-Red is actually a first party character, not a third party. Nintendo fully owns the Wonderful 101 IP. On the Mii, I wouldn’t personally choose them to be playable, but they were essentially leaked around the same time that Mega Man, Villager, & Wii Fit Trainer were leaked (same for Little Mac & Pac-Man), exactly a day before the Nintendo Direct that revealed Smash 4. Sorry! Miis appear in SSB4 as Mii Fighters. The case is closed.